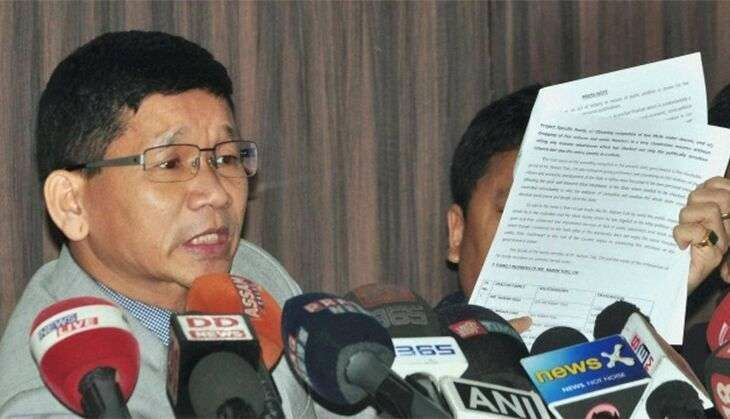 Arunachal Pradesh's former chief minister, Kalikho Pul, was found dead at his Itanagar residence on the morning of 9 August. According to media reports, the 47-year-old was found hanging at the official residence in Itanagar. His wife, Dangswimsai found his body and raised an alarm. Initial reports suggest that the former CM committed suicide late on 8 August as he was suffering from depression. Pul was born on 20 July 1969. He hails from Hawai, Anjaw district. One of his three wives found him hanging this morning. He is survived by three wives and four children, according to PTI. Pul started his career as a carpenter and began his political innings in 1995 when he was elected as an MLA from Hayuliang constituency. Pul began as deputy minister for finance (1995-97), then became minister of state for power (1997-99), MoS for finance (1999-2002), MoS for land management (2002-03), and finally minister for finance (2003-05) before he was made chairman of a high-powered committee and simultaneously adviser to the CM for about a year. In 2006-09 he once again served as minister for finance, then minister for rural works (2009-11), and then health. Between 2011 and 2014, he was also made adviser to the CM, then again made a minister in 2014. He was also the executive member of Arunachal Pradesh Congress Committee for 13 years and Pradesh Election Committee Member for 7 years. Pul rebelled against the Congress party in 2015 and led a revolt against then-Chief Minister Nabam Tuki. He became the acting chief minister of Arunachal Pradesh on 19 February 2016 with the backing of the Bharatiya Janata Party. He was popularly known as people's chief minister. He held the post till July, when the Supreme Court restored former Chief Minister Nabam Tuki's Congress government in the state. Pul returned to the Congress fold along with 30 dissident MLAs in July this year.